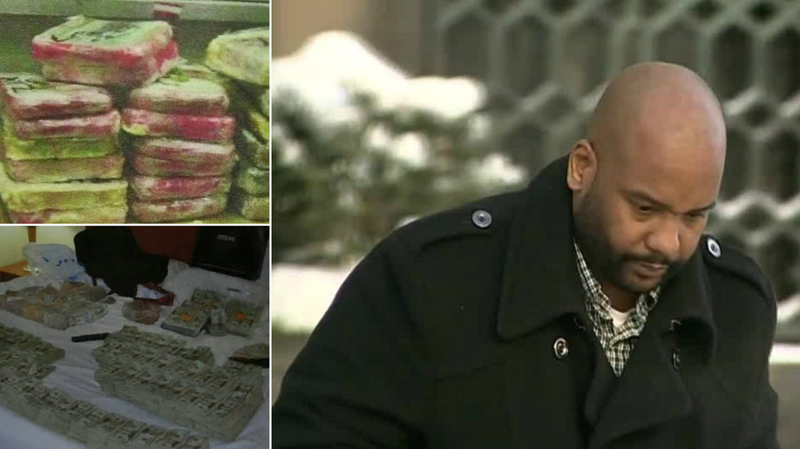 Detroit man Marvin Jenkins, 36, connected to a Mexican cartel, was sentenced to prison after he brought 53 pounds of cocaine into the community. Officials seized nearly $1 million in cash and $1 million worth of cocaine. Jenkins is a father and has worked at Ford Motor Company for 14 years. He had never been in trouble with the law until now. He admitted to agents to moving at least 72 kilos of cocaine into the community in the last three months. Police found more than $750,000 inside a Southfield hotel room rented by Jenkins. Federal officials watched him try to take duffel bags stuffed with cash from his car into the hotel. Officials followed him in his rental car and pulled him over. If convicted, Jenkins could have faced up to life in prison. Instead, he pleaded guilty and prayed for mercy.The judge sentenced Jenkins to 13 years behind bars.